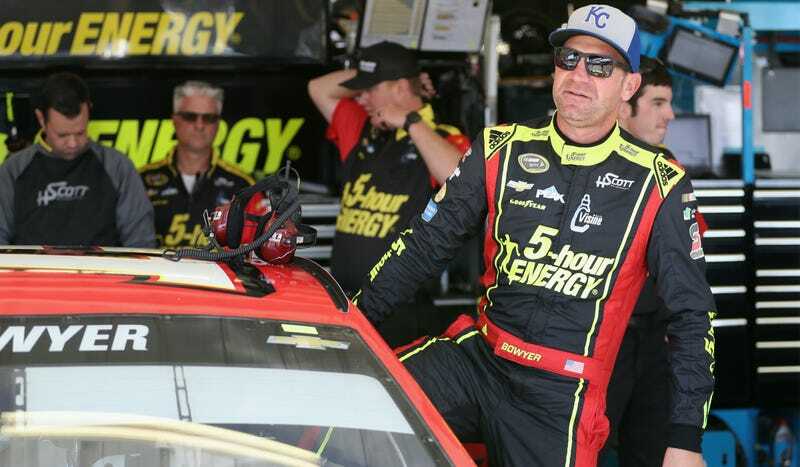 The $2.223 million lawsuit filed by NASCAR driver Clint Bowyer against HScott Motorsports and team owner Harry Scott Jr. on Nov. 21 was settled Thursday, reports NBC Sports. The lawsuit alleged that HScott owed Bowyer two monthly payments and a commission for bringing sponsorship to the team. This was an unusually speedy turnaround from the impasse reported earlier, where the team said they would “aggressively defend” themselves against Bowyer’s accusations that they had spent the cash on other bills. ﻿Mr. Scott provided additional information to Mr. Bowyer, of which he was not aware, which satisfied him that the claims asserted against Mr. Scott should be dismissed. (Clint Bowyer Racing) and HScott Motorsports then reached a mutual and amicable confidential settlement as to the claims for the debt owed to (Clint Bowyer Racing). Bowyer was only signed on for a one-year deal to drive for HScott Motorsports’ Sprint Cup team. Next year, he moves on to take Tony Stewart’s old ride with Stewart-Haas Motorsports. It is unclear whether HScott will continue its Sprint Cup efforts next year.